38 Windward Isle is the prettiest 1-story in PGA National. 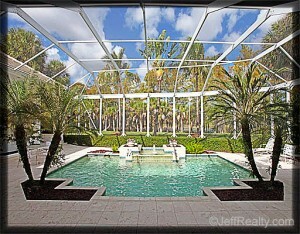 Located in The Island at PGA National, this builder’s own home with the finest material and detailing. Bermuda & Neo-Georgian style inspired. Choice cul-de-sac locale. Marble walkway. Breathtaking & expansive living room. Coquina floors, triple arches with French doors, and shutter pockets. Columned architectural features in dining room with illuminating coffered ceilings. Coquina and oak inlays in the beautiful gourmet kitchen and family room. Loads of granite counters, centerpiece island, plentiful Heritage cabinetry, and top-of-the-line Dacor and Asko appliances. The master suite is a pleasurable oasis with stunning views, private office, 2 walk-ins, dressing area, and marble bath. 2 VIP guest suites keep company coming. Extras include workshop and 3 newer water heaters. Smashing outdoor living with self-cleaning freeform pool, spa, marble deck, outdoor grill & unforgettable wildlife scenery. 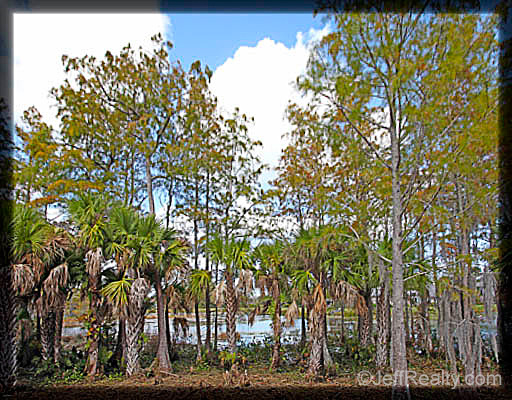 Enjoy nature and treed lake views from this most special of PGA National’s homes for sale. Posted in country club community, golf community, Palm Beach Gardens homes for sale on November 27, 2010 at 7:06 am.